Kelley was the state's leading goal scorer last year and she returns for her senior season competing in three sports as she preps for college. 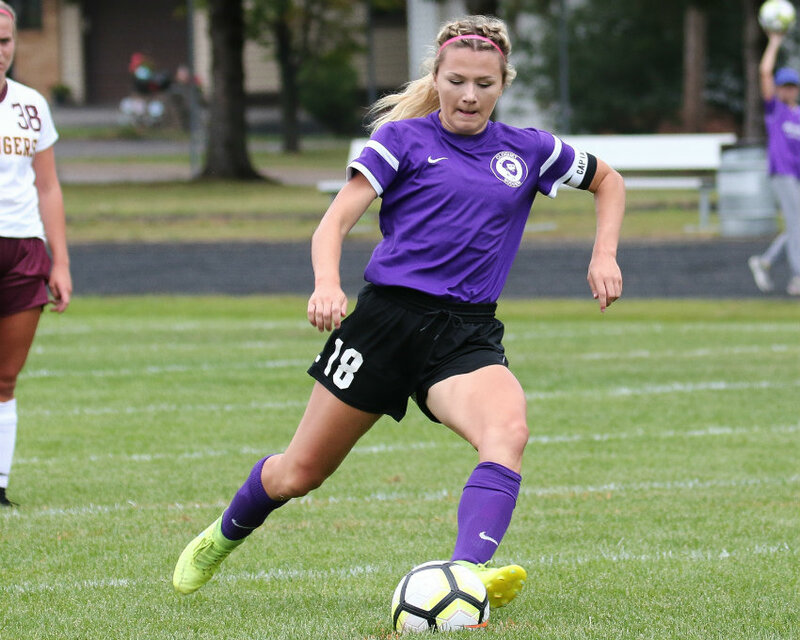 Kendra Kelley, Cloquet's star forward, led the state in goals last year as a junior with 47 tallies in 19 games. Her previous results show she has drastically improved each season, with her scoring 24 goals her sophomore season and 10 as a freshman. MN Soccer Hub: What do you remember from the section final last year? KK: I just kind of remember being disappointed but also proud of my team. Not to make excuses or anything but we didn't have the best circumstances. A lot of our girls got hurt right before that game. I know we could have won. I also think it's a good motivator for what's to come. MN Soccer Hub: What kind of work do you put in during the offseason to make big improvements every year? KK: I do other sports. I think that makes me more versatile and I think it helps me not to just focus on one thing. MN Soccer Hub: Was winning the 200-meters at state last spring the biggest accomplishment you've had as an athlete? How did it feel to achieve that? KK: Yeah Definitely. I can't even describe it. It was like . . . it was just amazing. After every rep and every single hard workout in track and every day staying until seven at night working out, it just kind of all paid off. I dedicate a lot of myself to that sport. MN Soccer Hub: What is it about track that kept you in the sport so long? KK: It's different than playing soccer or basketball. It's a little bit more individual, but it's also like a big team thing as well, at least where I go to school. I just love the feeling of running and, after crossing the finish line, feeling accomplished. The people in track are amazing, and I just fell in love with the community and everything about it. MN Soccer Hub: Have you decided which college you want to run at? KK: I'm not committed yet, but I have some official visits coming up in the next few months, and around November is when I'll probably announce my decision. Do you notice something different this year that leads you to believe Cloquet can go further? Yeah, I think that after the pain of losing that section final last year we’re a little bit more motivated to get to that state tournament for sure. MN Soccer Hub: Who is your favorite athlete? KK: I would say Allyson Felix (who competes for Team USA in 100, 200 and 400 meters). She is an incredible track and field athlete. She's been on top for a really long time and she's so humble. She could be so crazy about herself because she's that good, but she just continues to stay humble, puts out a good image, and perseveres though anything whether it's injury or age. She's really fun to watch. She's a great role model. MN Soccer Hub: Who in your life has had the biggest influence on you? KK: My mother. She's been there through everything, and I can always count on her. She's definitely helped me through hard times whether it be with sports or school. MN Soccer Hub: Do you know what you want to major in? KK: Right now I am leaning towards elementary education. I love working with kids. My mom is a teacher as well, and I've done a lot of job shadowing and just really enjoy it.